Considering the efforts to resolve the societal phenomenon violence against women (VAW), universal in all countries information, awareness raising and the role of media is considered as one of the key targets. Following the European Commission (2010) the audiovisual is the most important source of information. Consequently, the article aims to discuss the attitudes towards and the manifestations of the visual representation of violence against women. The discussion is based on a literature review on findings about depictions in mainstream media and on the analysis of visuals provided by the anti-violence against women movement on the international level, as well as on the country level of Austria and Spain. Key words: gender-based violence, violence against women, representation, symbolic violence, visual communication, media. An explorative study on the representation of intimate partner violence. Concerning violence against women, today we can account on its acknowledgement as societal problem by international and European conventions, although we still find high prevalence rates in all countries, the United Nations say it is problem of pandemic proportions from 14 up to 44 % (UNIFEM). One of the main global objectives to end VAW is information and awareness raising. 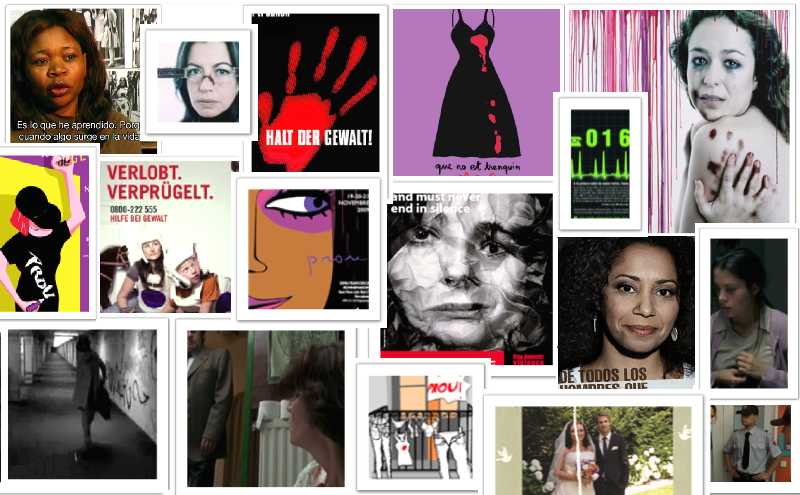 Across the EU Audiovisual is most important source of information on domestic violence with 92 % of Europeans having heard of domestic heard of it through TV (European Commission 2010). The study aims to create a panorama providing a more specific and profound insight on what does violence against women, particularly intimate partner violence mean in its whole complexity and how is violence against women (in intimate partnership) displayed in different forms of representation. As a modus operandi for the exploration on gender violence and the visual, the societal phenomenon is contextualised with theoretical approaches of gender, symbolic and cultural violence. The discussion of the state of the art concerning representations of violence against women in news media, advertising and film show the biases transmitted by media; reproducing instead of clarifying the circulating myth and stereotypes. The analysis of an explorative sample of visuals provided by anti-violence activities (by UNIFEM, Council of Europe, and in Spain and Austria) results in tendencies of displaying paternal attitudes and of representing ambivalences, stereotypes and victimisation; but also shows a potential to challenge myths and stereotypes, to refer to the social dimension, to cultural/symbolical violence, as well as to provide visionary/innovative images. As main aspects of this study, we can conclude, that the social use of displaying and reproducing sexist violence in the visual is completely normalised. The culture and cultivation of violence is perpetuated through the powerful impact of images, and the ‘outliers’ of new, visionary and resistive images are the visual key to break with. The visual contains the potential for reinforcing, reproducing or challenging, rupturing the phenomena of sexist violence. This research project as requirement of the doctoral program was approved by the Department of Audiovisual Communication and Advertising I, UAB, on 23.11.2010.